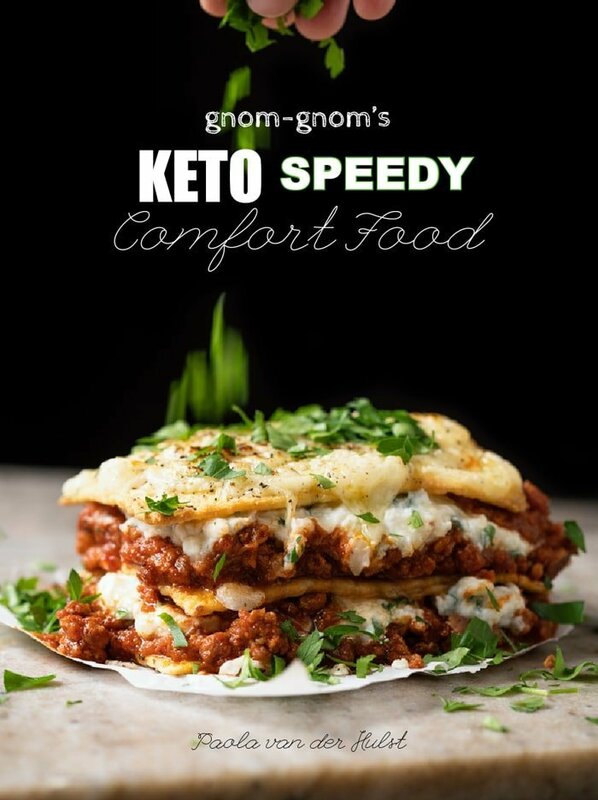 A gnom-gnom standard: photo spreads for all the recipes! And of course, the exciting and bold gnom-gnom flavors you know and love! Love a recipe (or got a question)?! Comment below and be sure to tag us @gnomgnom.yum on Instagram! After trying almost all your recipes for over a year, I decided to buy your book(today) and make the pancakes, served them with some blueberry sauce(just like eating a PBJ), They were the most amazing pancakes I have ever had, purchasing your books is the best keto investment by far! 5 stars to your books all the way!! Sakshi that’s SO awesome to hear!! Thank you so much for your support, hope you keep enjoying ;)!! I really don’t like the ebook thing. We live in the country and have spotty internet. I do LOVE your recipes tho !! Will this be published in a soft cover book ? Thanks ! Thank you for all your information on the flours. I have been floundering up until now with mixing my own, and only get good results when using Bob’s Red Mill mixes. Now I know why. I have been drooling over your recipes. I will be back later in the week to purchase your book. Hello Paola… HELP!! I just purchased your e-book and received (2) emails of proof of purchase, but having trouble downloading it onto my iPad. What do I need to do? Please give instructions. Thank you! We live in the country! Bad internet! Let me know when you have a paperback available – or hardback physical book, please! Hello Paola….. HELP!! Just bought your e-book, and I received (2) emails showing proof of purchase in my Inbox, but I can’t download it. How do I download your recipes onto my iPad? You are amazing! I have directed at least 20 people to your site. Your recipes have allowed my family to join me in the adventure of healing our bodies with food! I am so grateful! I will buy every cookbook you publish, I know it takes time and effort but your recipes are far superior to what’s out there so keep it up! Thank you for sharing your hard work with us, now I am off to make my millionth batch of cinnamon toast crunch and my first try at cinnamon rolls! Count me in! Ordering the e-book in a moment because your recipes have NEVER let me down! I’m wanting a hard back book, not ebooks. Is one available for purchase? I to would love to have a hard copy of the book; a lot of us have a really hard time with “e-books “. I know how great your recipes are;have made quite a few. A fiscal book would be wonderful!! Just think, it would be around for ever! Doesn’t have to rely on the internet! Let’s face it we can lose are stuff at any time on line. The best option is a fiscal book! I agree- a physical book is preferable for many- and worth paying more for! I agree too guys! Working on it, but it’s been postponed a bit as I’ve been healing from a nerve injury since June 😉 xo! I’m trying to purchase using apple pay but it keeps saying error. Any suggestions? Your recipes look delicious – thank you so much for your great work!